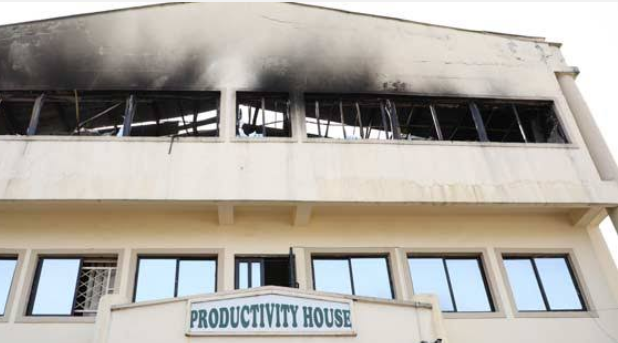 The Office of the National Productivity Centre (NPC) in Abuja, the Federal Capital Territory (FCT) has been gutted by fire. The accident occurred on Wednesday at the NPC office located at Cape Town Street, Zone 4, Wuse, Abuja. Although no life was lost, the fire, however, ravaged some parts of the first floor of the building. The NPC boss regretted that many important data that are relevant for national usage were lost during the unfortunate incident. The NPC, an agency under the Federal Ministry of Labour supervised by Senator Chris Ngige as Minister, aims at improving the quality of lives of Nigerians by making available increased quantity and improved quality of goods and services to the people.